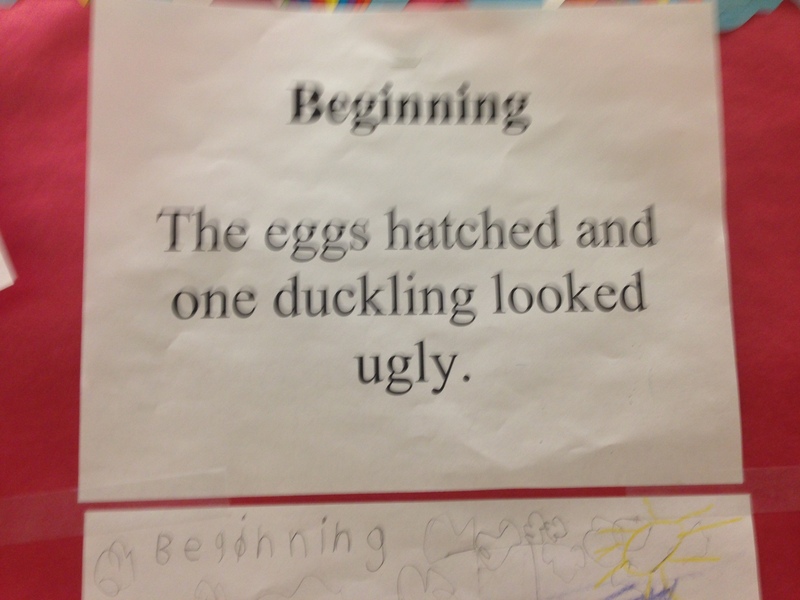 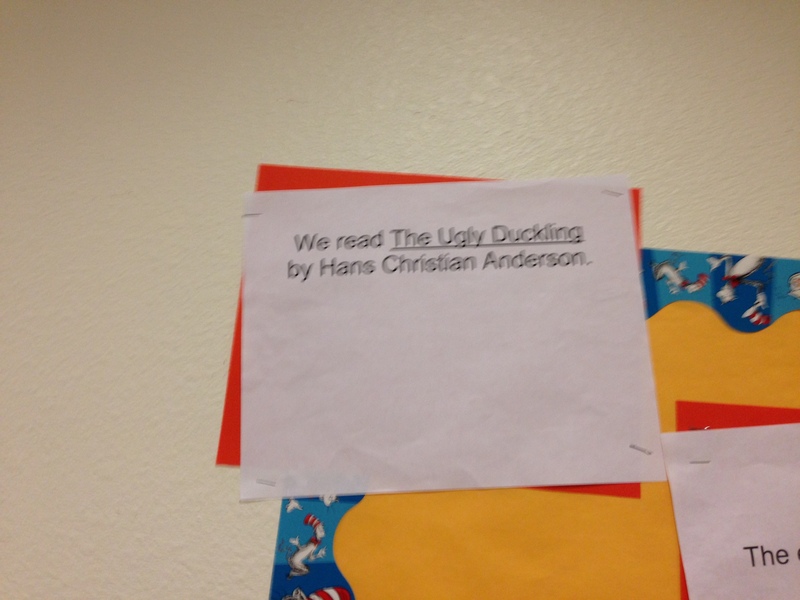 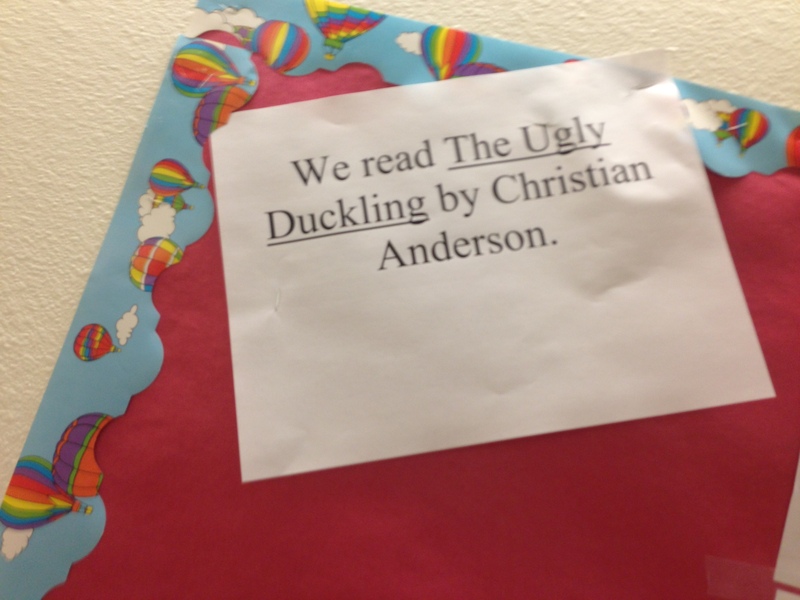 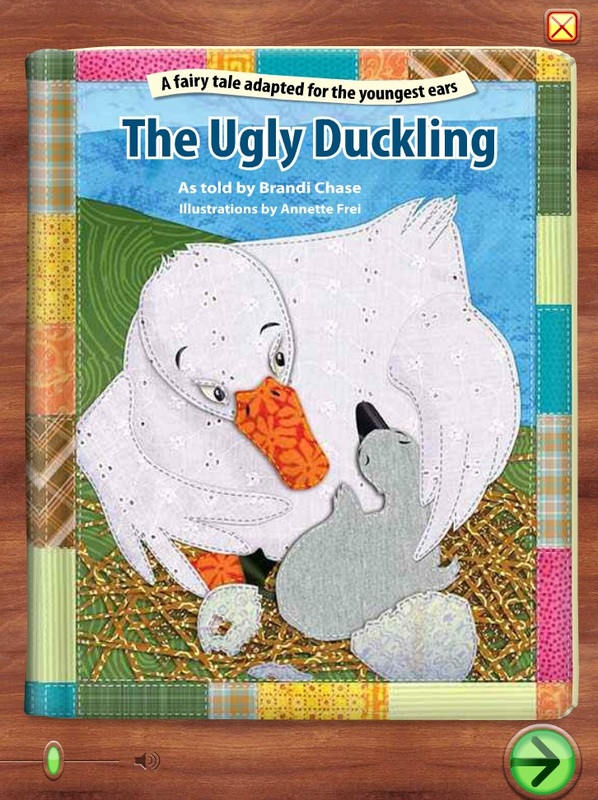 We read the interactive version of the Ugly Duckling on Starfall.com‘s talking library. 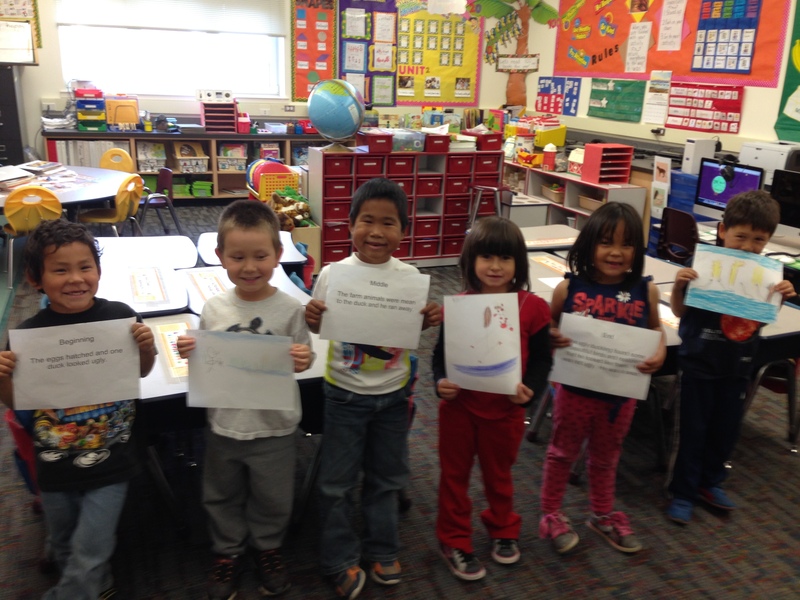 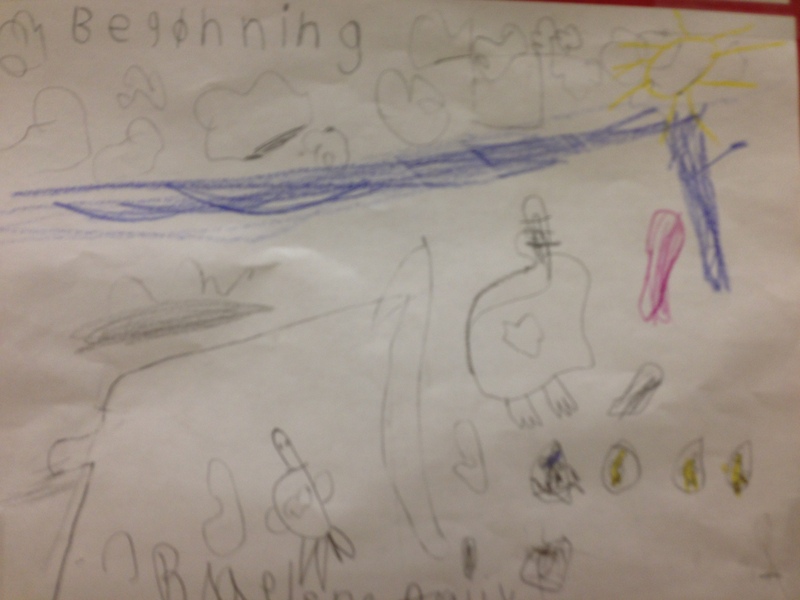 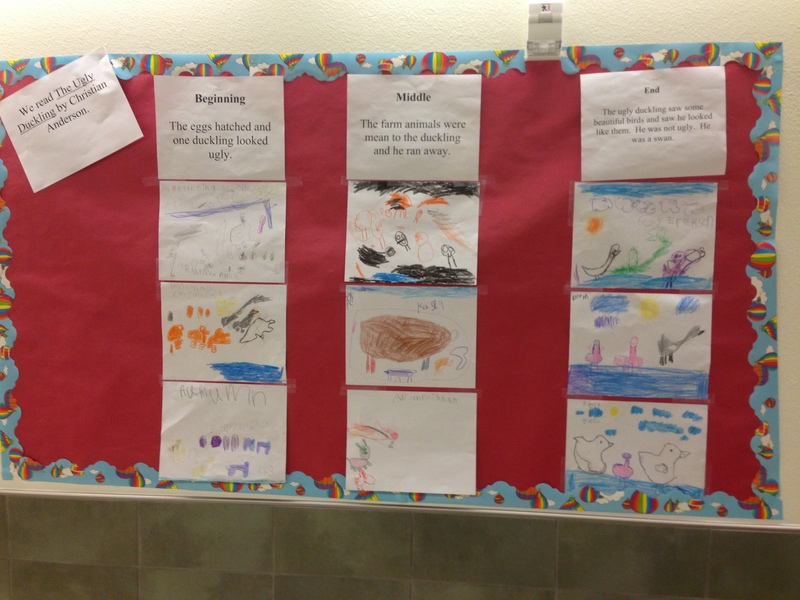 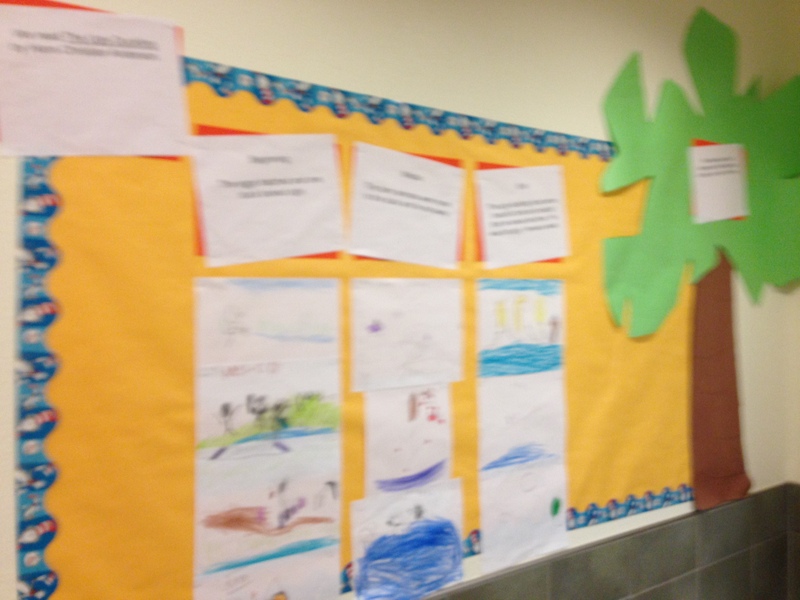 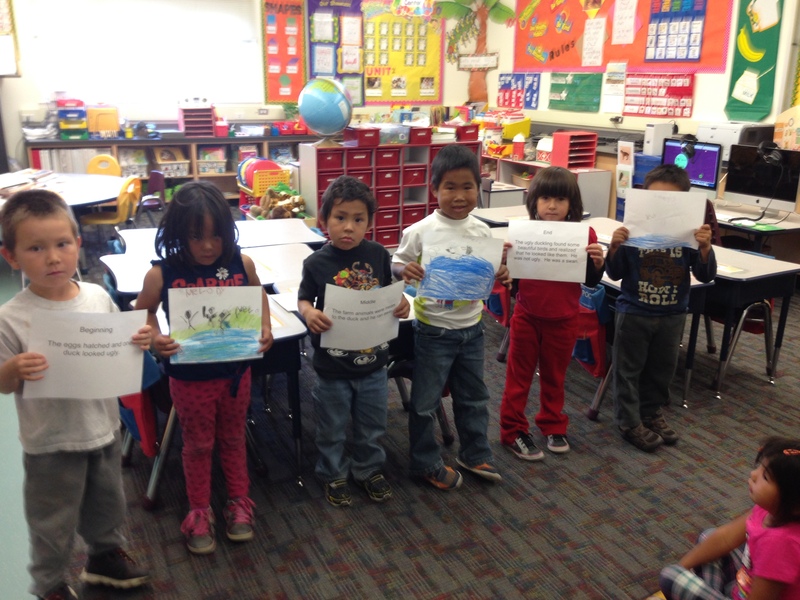 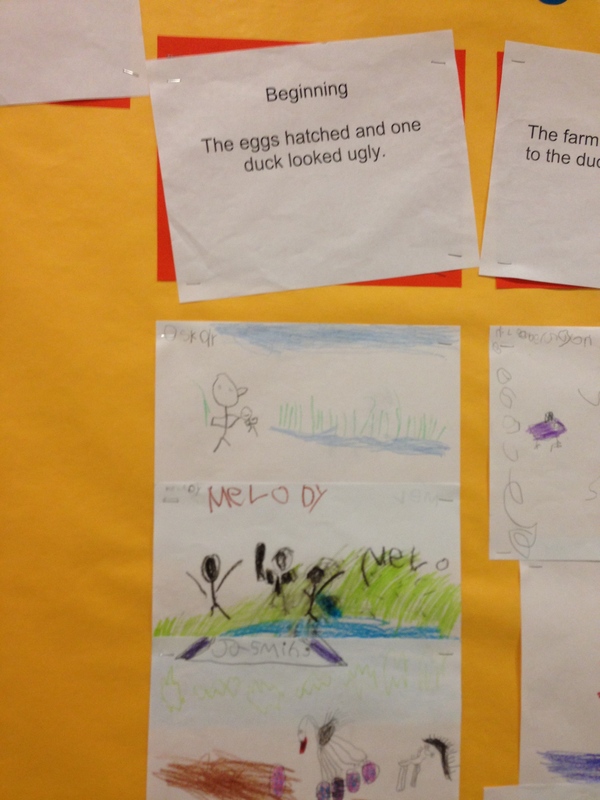 We created a story map of beginning, middle, and end of the story. 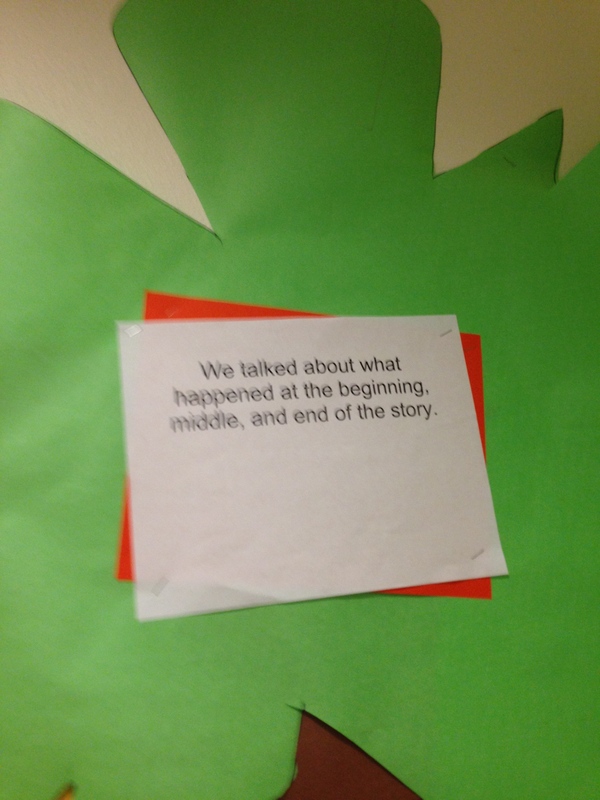 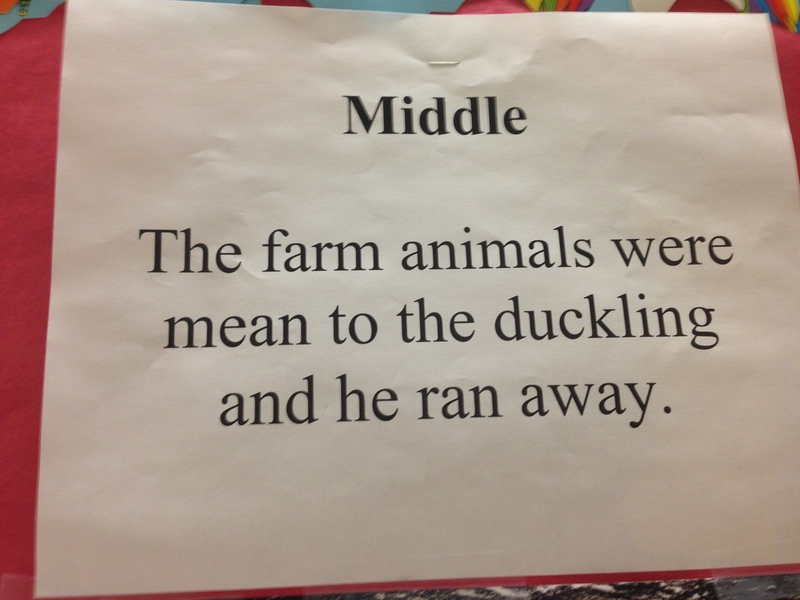 Then students retold the story of what they remembered from the beginning, middle, and end of the story. 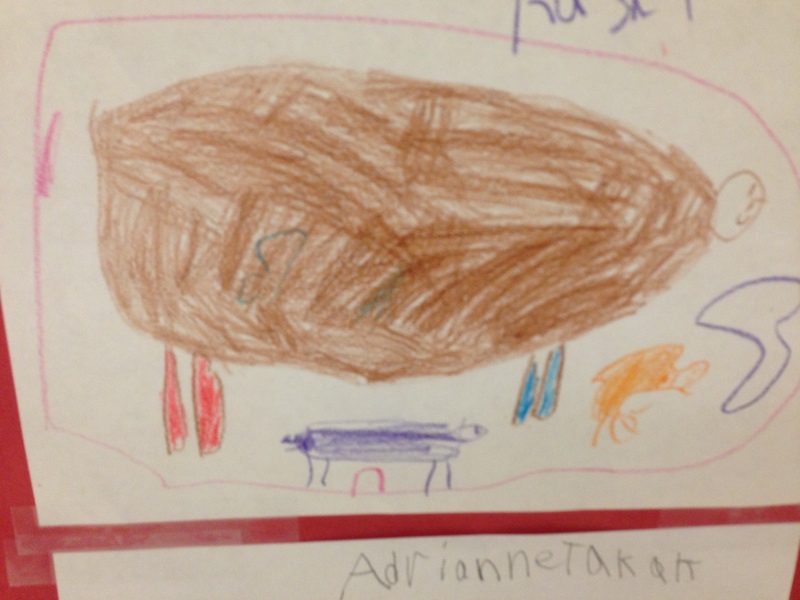 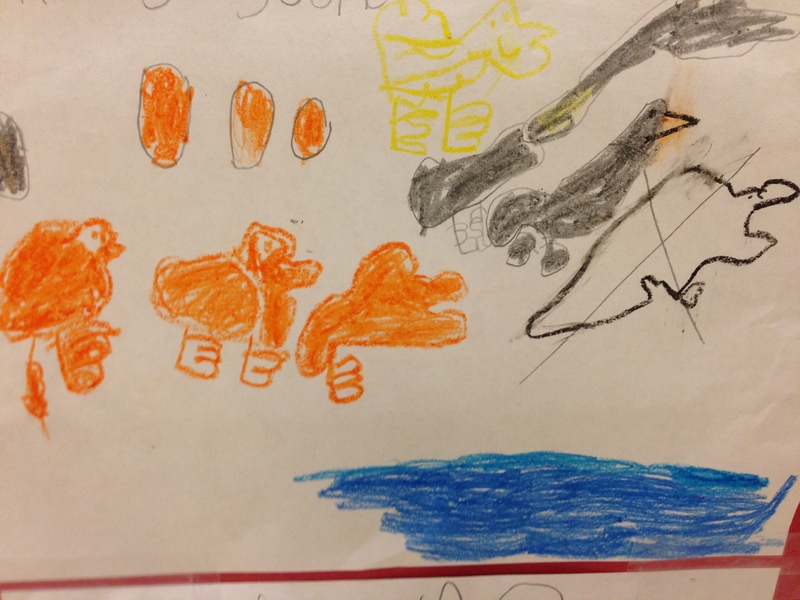 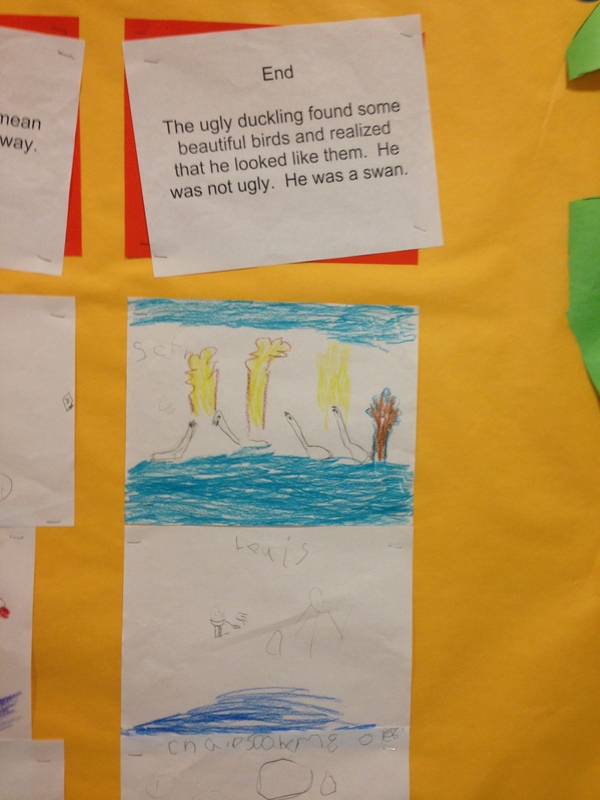 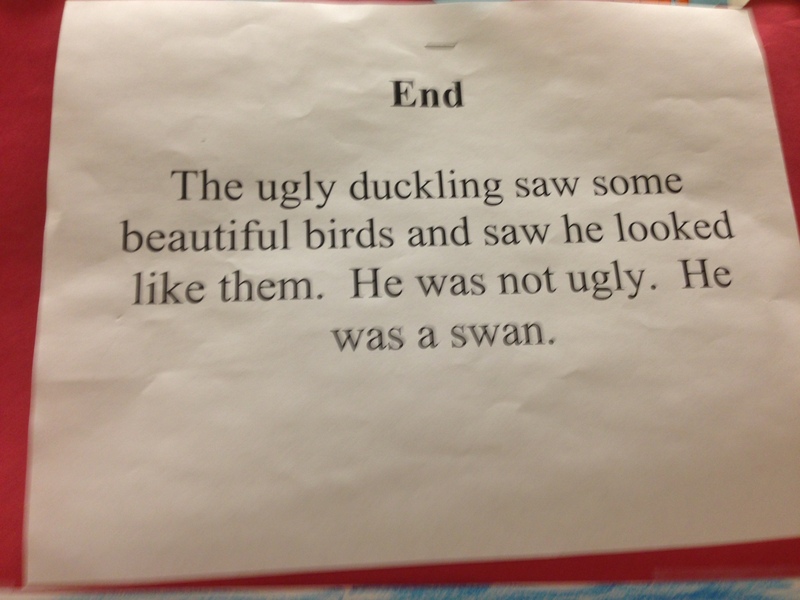 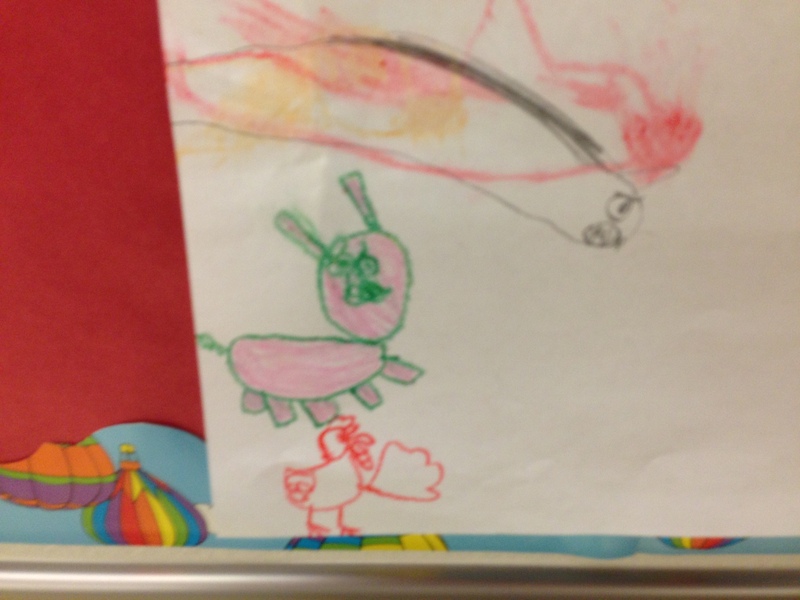 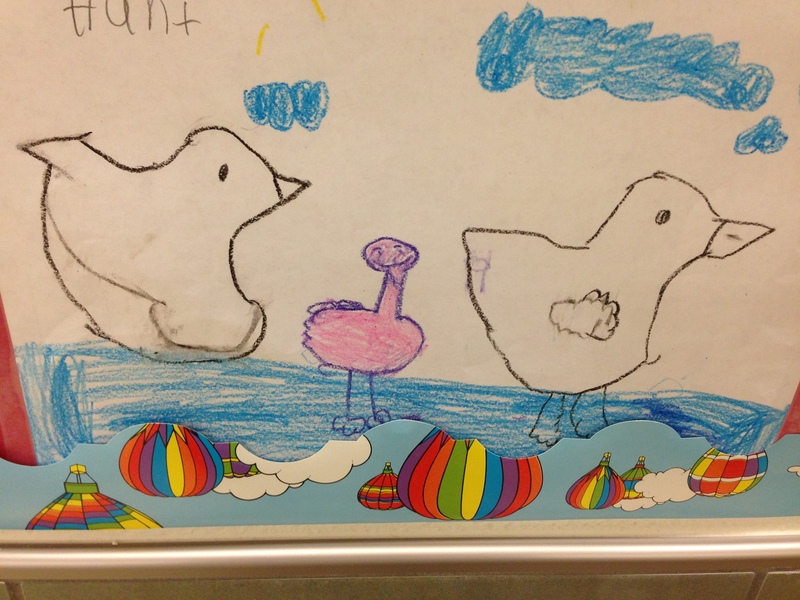 I had each student illustrate one part of the story. 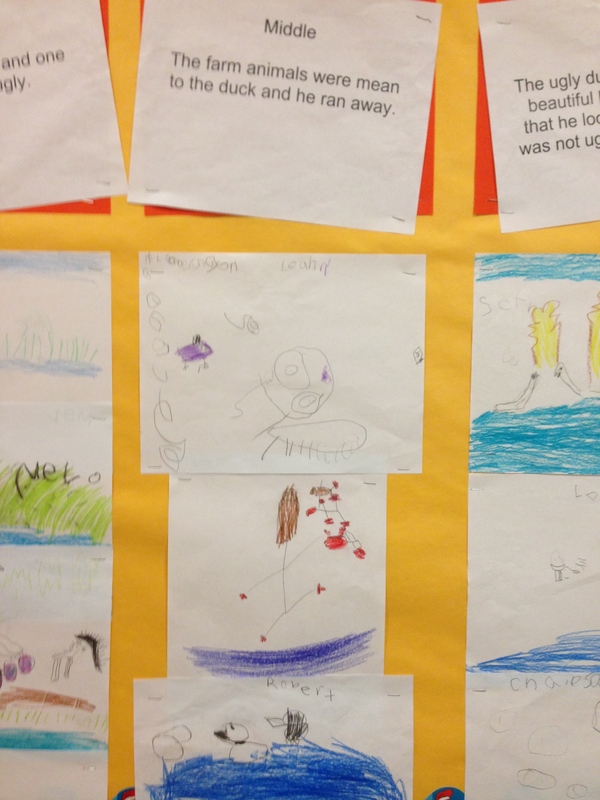 We used our illustrations to re-tell the story and create a story map.